This is the repost of a post found on AK, here. While HSBC’s Canary Wharf masters are back-peddling furiously over charges that they gave a leg up to terrorist financiers and drug traffickers as a recent U.S. Senate report charged, new evidence emerged that its business as usual for the multinational banking giant founded by Hong Kong-based British opium merchants. The bank embroiled in this latest scandal? Why HSBC, of course! But that’s not the only place where crisp bundles of cash were turning up. “A trio of Moroccan brothers, including a prominent fund manager in Geneva, are alleged to have concocted an elaborate scheme to launder money by balancing two illegal flows of cash,” The Independent averred. At the center of this multimillion euro money laundering spider’s web were: Meyer El-Maleh, the managing director of the fund management firm GPF SA, and brothers Mardoché El-Maleh, the alleged bagman of the cannabis-for-cash scheme and Nessim El-Maleh, a fund management specialist with the Swiss private banking arm of HSBC, HSBC Private Bank (Suisse) S.A.
Talk about closing the barn door after the horses have escaped! Among the well-heeled perps arrested by authorities on charges of “conspiracy to launder money and association with criminals” was Florence Lamblin, a prominent Green Party politician and deputy mayor of the 13th arrondissement in Paris. Her arrest was all the more ironic considering that fake “left” Greens are currently in coalition with François Hollande’s pro-austerity “Socialist” government. Lamblin and her coalition partners had run on a platform demanding tougher action against (wait for it) international money laundering! When Lamblin’s home was raided “police discovered €400,000 (SFr484,000) in low-value notes” in safes belonging to the “progressive” politician, Swiss Info averred. In the wake of her arrest, Lamblin was forced to resign although she denied “any involvement” in the drug smuggling scheme. “If anything, my client may be guilty of tax fraud, over the transfer back to France of a sum of €350,000 from a family inheritance which was placed in a Swiss bank account in 1920,” Boursican explained. The “error” of getting caught perhaps? A typical money laundering “placement” scheme, “cannabis profits leaving France were ‘swapped’ for assets hidden in Switzerland which tax cheats or business fraudsters wished to repatriate,” The Independent reported. “The same sums were debited from their banks in Geneva and sent on a complex route through shell companies in London and offshore tax havens to purchase assets for the drug barons in Morocco, Dubai or Spain. A commission was allegedly paid on both transactions,” The Independent averred. Referred to as “layering,” the transfer of funds took place through a series of opaque financial transactions that camouflaged their illegal origins. In the case of our well-heeled Parisians, drug profits were swapped through bank-to-bank and bulk cash transfers via private banks in Geneva, one of which was owned by HSBC. Eschewing armored cars, airplanes or ships, the “originators” of these illegal cash flows preferred ubiquitous black plastic trash bags and “go-fast” limousines as the method of choice for bulk cash transfers. It would certainly cut down on shipping costs as the loot moved “offshore” and entered the shadow world of private banking! Given Switzerland’s strict bank secrecy laws, we do not know, and Senate investigators did not disclose, how many billions of dollars were hidden for HSBC’s private banking clients in Geneva, where it originated or whether or not occult wealth shielded from scrutiny was derived from organized criminal activities. Lord Stephen Green, Baron of Hurstpierpoint and current Minister of Trade and Investment in David Cameron’s Conservative government, was previously HSBC’s chief executive and the chairman and director of HSBC Private Banking Holdings (Suisse) N.A. for ten years. While the sums involved in the Parisian money laundering and drugs scandal may be chump change in comparison to the trillions of dollars in illicit drug money that enters the system each year as a result of “normal business relations” between global drug cartels and the international financial system as the United Nations Office on Drugs and Crime (UNODC) revealed last year, it does demonstrate the utterly corrupt nature of the system as a whole. Indeed, seeming ideological foes are joined at the hip when it comes to fleecing the working class and imposing austerity and privatization schemes that profit their real constituents–the global class of financial parasites who “win” regardless of which party of hucksters gain power. 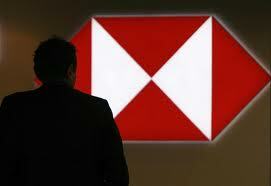 Public sector thefts that enrich the shareholders and officers of corrupt institutions like HSBC. Although settlement talks between U.S. regulatory agencies and HSBC has forced the bank to set aside at least $700m (£441m) to meet the cost of any fines, it is highly unlikely that officials at the bank will be criminally charged. Currently negotiating with the Justice Department, the Federal Reserve and the Office of the Comptroller of the Currency over serious allegations that the bank conducted a multiyear, multibillion dollar business with terrorist financiers and global drug cartels, the price tag may balloon even higher. “HSBC’s $700 million set-aside, if paid, would constitute the largest U.S. settlement reached over such allegations, topping the $619 million in penalties and forfeitures paid in June by ING Groep NV, the biggest Dutch financial-services company,” Bloomberg News reported. For their part, Swiss bankers are scrambling to put as much daylight as possible between themselves, the Paris money laundering scandal and HSBC. He hastened to add that Switzerland was at the “forefront” of the international fight against drug money. It is worth recalling in this context that Julius Baer’s Cayman Islands division, as the whistleblowing web site WikiLeaks revealed, was instrumental in squirreling away “several million dollars” of funds controlled by late Mexican Army General Mario Acosta Chaparro and his wife, Silvia, through a shell company known as Symac Investments. Acosta, who served time in prison for his ties to the late drug trafficking kingpin Amado Carrillo Fuentes, the self-styled “Lord of the Heavens” who ran the Juárez Cartel, was killed in May when an assassin fired three rounds from a a 9mm revolver into his head. Who else might be in need of “private banks and wealth managers” employed by the likes of HSBC and Julius Baer to make such “liquid investments” possible with no questions asked? Paging Chapo Guzmán, white courtesy telephone! Tom Burghardt is a researcher and activist based in the San Francisco Bay Area. His articles are published in many venues. He is the editor of Police State America: U.S. Military "Civil Disturbance" Planning, distributed by AK Press. Read other articles by Tom, or visit Tom's website. This article was posted on Wednesday, October 31st, 2012 at 8:00am and is filed under Banks/Banking, Capitalism, Corruption, Crime, Drug Wars, France, Switzerland. Shifting from duality to Unity.